1. Wound healing – Selenium benefits include providing anti-inflammatory effects and speedy wound healing. 2. Cancer – The essential trace mineral is shown to reduce the risk of cancer by affecting the DNA in damaged cells. It is shown to effectively reduce the spreading of lung, prostrate and colorectal cancers. 3. AIDS prevention – Lack of selenium is shown to cause the acceleration of the disease and hence HIV/ AIDS patients are often prescribed supplements by their doctors. 4. Blood pressure – Affects the hormones that regulate blood pressure. 5. Sexual health – Regulates the production of sperm and motility and hence is important for sexual health in men. 6. Arthritis – Selenium’s anti-inflammatory properties are shown to reduce inflammation caused by rheumatoid arthritis. 7. Infections – Antioxidant property of selenium boosts the immune system and increases the body’s capability to fight infections. 8. Depression – Several studies have shown selenium benefits can include improvement in the mood. Therefore, a selenium supplement is often suggested along with zinc for reducing depression. 9. Heart problems – As an antioxidant, it lowers LDL oxidation, reducing the risk of coronary heart diseases. 10. 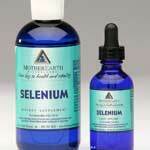 Selenium binds toxic heavy metals in the body like copper, mercury and arsenic and aids their elimination from the body. Although there are many selenium benefits, in high quantities the mineral can do harm to the body. Selenium toxicity is rare but can be possible in case of supplement overdose. Some side effects are weight gain, stomach problems, nausea, fatigue and hair and nail loss.